Don’t let their simple appearance fool you. The flavor and texture of these cookies is really special. They have a secret ingredient that you probably haven’t used in cookies before. The ingredient is eggs. I know, you use eggs in cookies all the time. But you probably haven’t used COOKED eggs in cookies. More specifically, hard cooked egg yolks. Cooked yolks are pressed through a fine sieve and added to the dough. 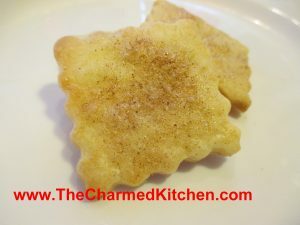 The end result is a cookie with an amazing delicate texture and rich flavor. If you don’t want to have a bunch of cooked egg whites to use up, you can do what I do. I separate the whites and yolks of raw eggs. I always have recipes that call for egg whites, so they don’t go to waste. Then I simmer water in a small saucepan. I gently add the egg yolks, and poach them until they are cooked through. Drain well, pat dry and cool before using them in the cookie dough. Beat together butter and sugar until light and fluffy. Beat in egg yolks and vanilla. Stir in flour and salt. Wrap dough and chill for at least an hour. Roll out 1/4 of the dough at a time into scant 1/4 -inch thickness. Use extra flour sparingly and use a marble rolling pin or one with a cloth sleeve. I also keep extra dough chilled until ready to roll. Cut out with cookie cutters and place on greased baking sheet. Mix egg white with water and brush on cookies. 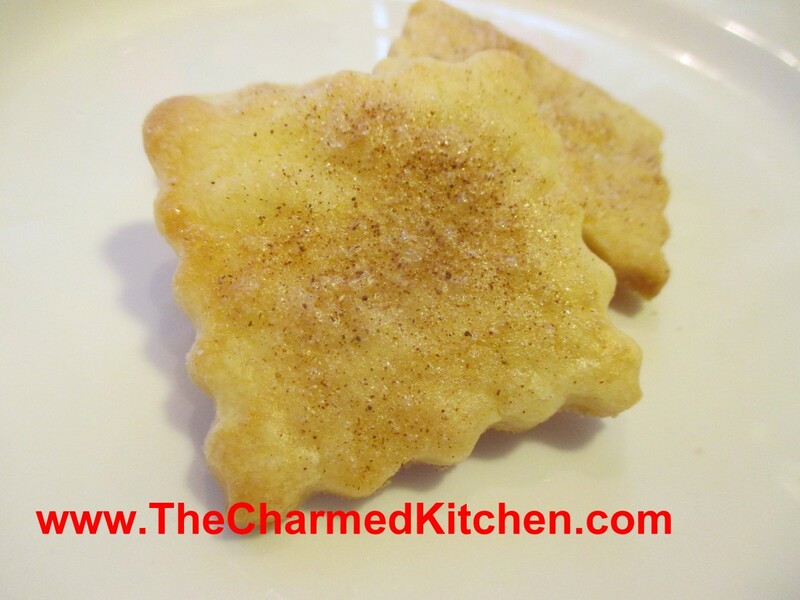 Combine sugar and cinnamon and sprinkle on cookies. Bake in a preheated 350-degree oven for about 10-12 minutes. Cookies will be golden. Makes around 5 dozen, depending on the size of the cutters.